Yellow Sapphire (Pukhraj) is also known as Topaz. This astrological gem is ruled by planet Jupiter. Jupiter is the planet of prosperity, abundance, education, happiness and success, also the benefactor of children and divinity. Wearing topaz bring wealth as well as success in marriage and good children. People born with Jupiter enhanced in their personal horoscope have in-depth knowledge of the ancient texts, scriptures and are firm believers in God. They make good teachers, scholars and are balanced in their approach. They are impartial and love to visit holy places. 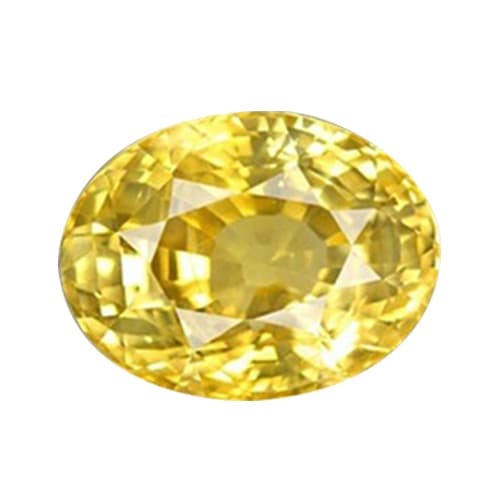 Yellow sapphire is also a unique and exquisite gem piece.Yellow sapphire protects the wearer from enemies and also gives the wearer beauty and splendor. Golden topaz also helps the wearer to attain health, wealth and happiness.